Security from a market leader. When spirits are running high, a sense of mischief sometimes results in a kick for the locker door. It’s a case for Resisto from CP – with ‘rascal-proof’ doors. A whole host of requirements have to be met in this kind of area: the lockers need to offer plenty of storage space, stand up to frequent use, and have automatic door closure to keep escape routes clear. 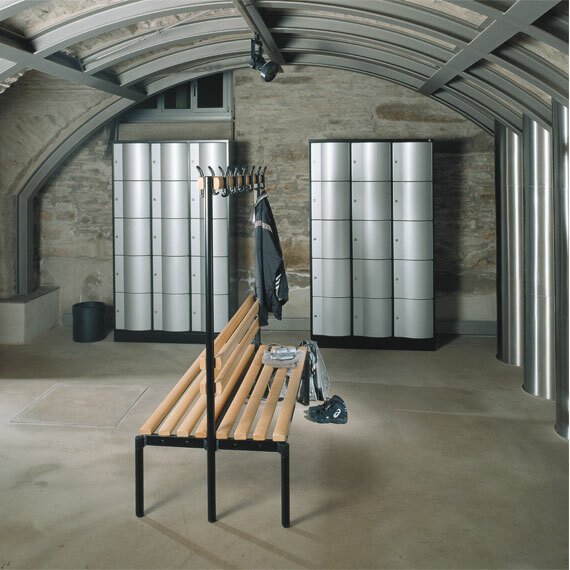 A wide range of compartment sizes might be needed depending on requirements, from double-tier cloakroom lockers to small-compartment lockers. 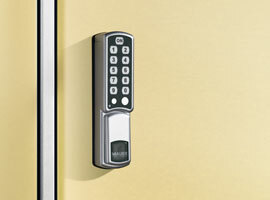 In this kind of area, online and offline electronic locking systems are preferred. Little lockers for little people. Assembled box lockers in schools and nurseries have to put up with a lot. Resisto is made for the job, because the special doors not only look attractive, they can also take whatever kicks are thrown at them! 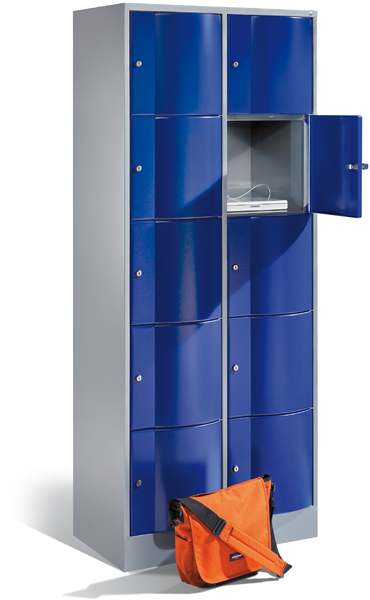 Resisto lockers have a levelling mechanism that can be easily adjusted from the inside to compensate for uneven floors. 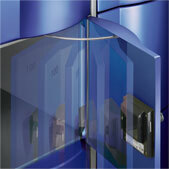 Integrated door limiter with 80° opening angle to protect adjacent door. Automatic door closure available on request (e.g. for installation near escape routes). Two compartment sizes (each 350 mm wide) and three locker depths for universal use. 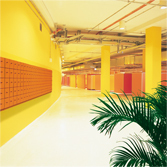 Colourful: Thanks to the versatility of steel you can choose from a wide range of attractive colour coatings. Colleges and universities have entered the battle to attract the best brains. When would-be students are choosing their place of study, it’s not just the course itself but the college or university environment that influences their choice of institution. The right impression. Institutions that aim to attract the best students and raise their academic profile are aware of the importance of these factors. 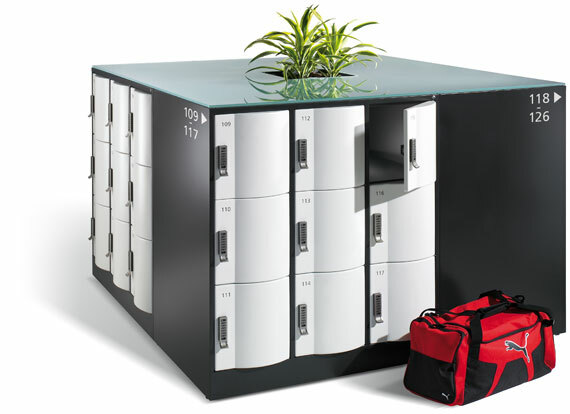 Resisto assembled box lockers offer decisive added value: tidiness, security, plus intelligent features for a smooth day of study. Deposit locks which ‘penalize’ unauthorized key removal. PIN locks with master code for central access. 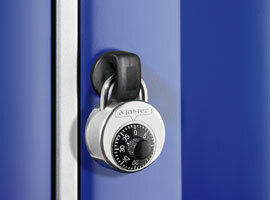 Combined PIN / deposit locks to prevent deliberate locking of several compartments. 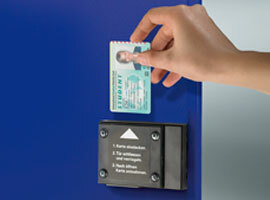 Electronic online locking systems where a student’s electronic ID serves as the key. 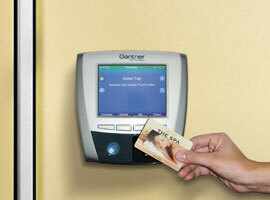 Usage of the pass can be monitored at all times, given a time limit, and documented to prevent unnoticed misuse. Electronic equipment has become very popular in colleges and universities. And why shouldn’t locker systems keep pace with technology? 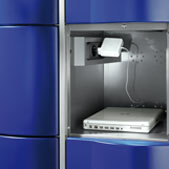 Electronic locking systems, sockets and integrated LED lighting make Resisto a contemporary piece of equipment. 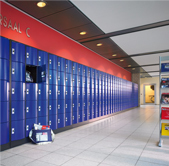 Resisto lockers are available in two compartment heights and three locker depths to suit any requirements. As an option, each compartment can be fitted with two 230 V sockets to recharge laptops or mobile phones in no time. Users of sports, fitness, leisure and wellness facilities expect one thing above all: to be able to relax, devote time to themselves and switch off from everyday worries. For that to happen, the locker and changing rooms need to be just right. CP bag lockers are designed to make sure the wellness experience starts right away: convenient and spacious compartments that are easy to operate. Accessories that set the tone. Extra equipment that offers practical benefits. The Resisto series includes extra-deep versions for large sports bags. It’s better to choose a compartment size bigger than you think you will need. More and more users are tending to bring large bags with them. The Intro series even has a compartment width of 400 mm. By providing adequate space and a pleasant atmosphere you can win ‘brownie’ points with facility users before they even see the actual facilities! You don’t get a second chance to make a first impression! 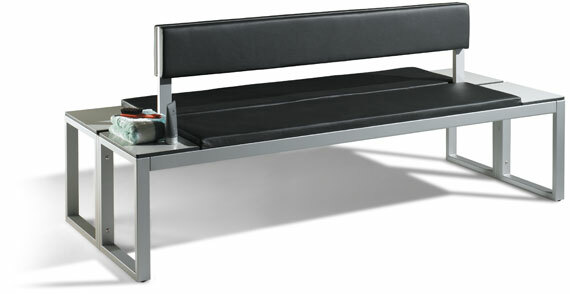 Matching benches are an essential piece of equipment in any locker room or changing room. A touch of style for the office. 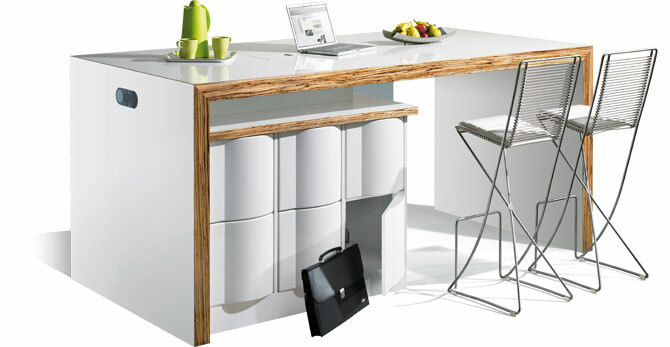 The fittings and ambiance are important factors in any office when it comes to enhancing motivation and productivity. 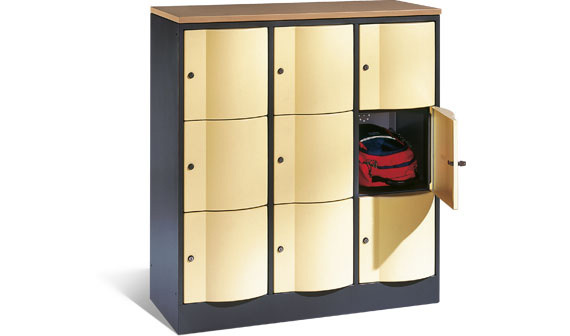 This includes the peace of mind of knowing that your personal belongings are securely stored. 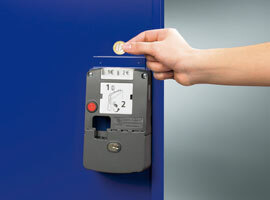 The locking system can be incorporated into existing time logging and access control systems. 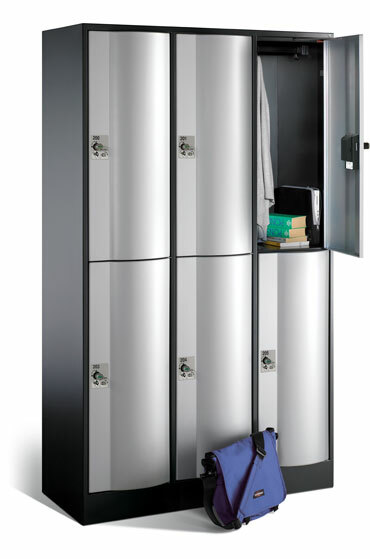 CP seamlessly integrates state-of-the-art locker technology into modern, sophisticated office environments. 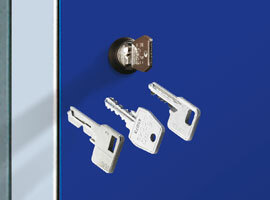 Cylinder lock with 2 keys: With cylinder barrel, pin cylinder or sheet lock. Optionally available with master key function. Safety turning bolt: It is not possible to over-rotate the locking mechanism since the lock cylinder does not snap into place until the padlock has been removed. SAFE-O-MAT lock: With convenient twin coin deposit lock. 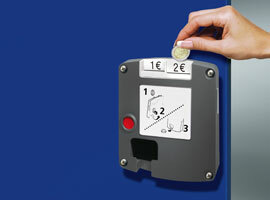 …or as token-operated lock: With large cashbox (twin-coin multi-use). 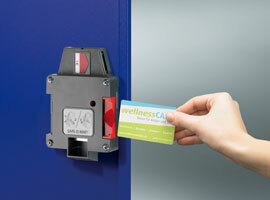 Staff IDs or club membership cards can also be used. 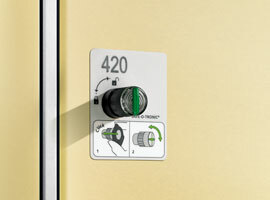 GAT locking system with central information display: The compartment is opened by data carrier directly on the locker, whereas the central display provides information about which compartments are in use and which compartments are free. METRA locking system with central terminal: The compartment is opened on the central terminal, by means of either data carrier or fingerprint biometric scan. PIN lock: The simple solution with freely selectable PIN. Ideal wherever keys or data carriers are not wanted. 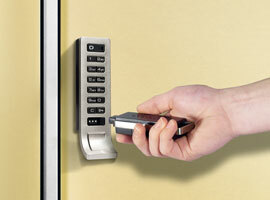 Digilock locking system: Programmable system with freely selectable PIN and additional locking options. 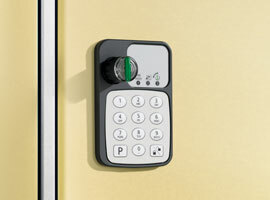 SAFE-O-TRONIC® lock: Electronic transponder locking system with various forms of data carrier integration.